Studies show that maintaining routines and exercise helps reduce stress. Lemon Tree Inn of Naples, Florida and Hotel Caravelle of St Croix, US Virgin Islands offer discounts to local yoga studios to help guests continue routines, relax and unwind. We are thrilled to partner with local small businesses and offer our guests an additional way to relax. Numerous studies, including ones featured in the Journal of Business and Psychology, The New York Times, USA Today and Neuroscience and Biobehavioral Reviews, show that maintaining routines and exercise help reduce stress. Wanting to provide the most relaxing vacations to their guests, Lemon Tree Inn of Naples, Florida and Hotel Caravelle of St Croix, US Virgin Islands offers discounts to yoga studios for their guests. Both Bija Yoga in Naples and Kalima Center of St Croix, offer the hotel guests a $5 discount when they present their room key when on vacation at either Lemon Tree Inn or Hotel Caravelle. The special savings are valid until December 15, 2012. 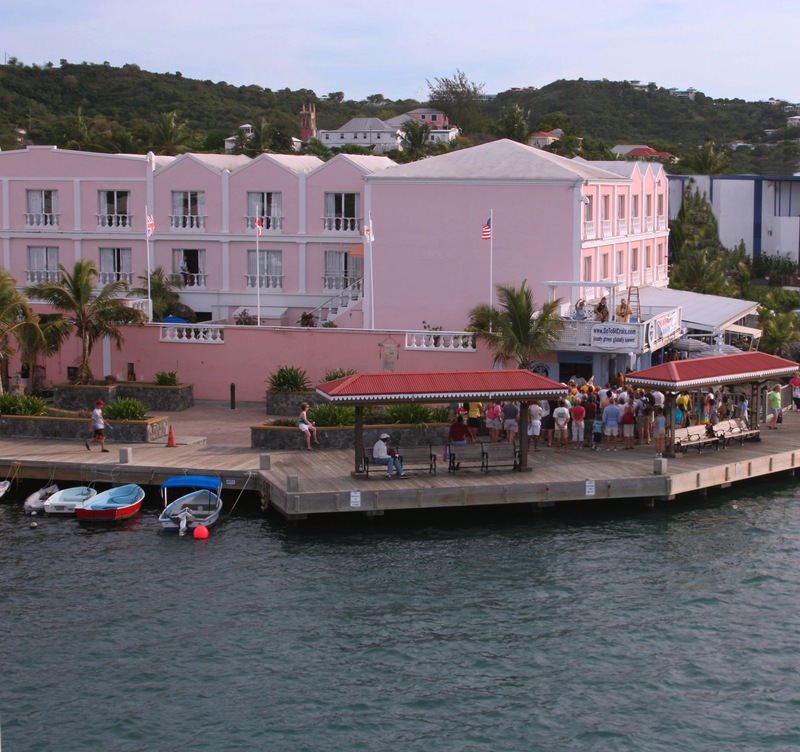 KALIMA Center for Health & Holistic Living is located one block from Hotel Caravelle in the Caribbean waterfront town of Christiansted, St. Croix. Located in a tranquil courtyard, the center includes Lalita Restaurant, offering raw and vegan dishes, ReNuAtum Spa offering reiki, reflexology and chakra balancing, a Swedish cedar sauna, and yoga classes in a spacious open-air studio located on the second floor. “We are delighted to welcome guests to KALIMA’s classes, programs and restaurant,” says Dr. Cheryl Wade, owner of KALIMA Center. A day pass is $15 and Hotel Caravelle guests enjoy a $5 discount when they present their room key. For more information visit http://www.kalimacenter.org. In Naples, Florida, just two miles from Lemon Tree Inn, Bija Yoga offers daily, multi-level classes starting at $17 per class. Guests of Lemon Tree Inn enjoy a $5 discount on yoga classes when they present their room key. “Whether a beginner or experience yoga practitioner, we offer classes for each level,” says Jamie Shane, owner of Bija Yoga and one of the six instructors, “Yoga is wonderful for travelers because it can be done in a hotel room, on the beach and even by the pool. Joining a studio like ours when traveling has added benefits of learning new techniques, meeting new people and engaging in the community you are visiting.” Bija Yoga is located at 1250 Tamiami Trail N, Naples, FL 34102. A complete class schedule is available at http://www.bijayoga971.com. Located on the waterfront in the historic town of Christiansted, Hotel Caravelle, known for its friendly staff, blends European elegance with Caribbean charm. The hotel’s 43 rooms, most with ocean views, offer all the amenities including a/c, satellite TV, phones, safes, irons and ironing boards, hair dryers and radios. The Penthouse Suite features a living room, two bathrooms and an oversized master bedroom. The award-winning Rumrunner’s waterfront restaurant and bar, is located in Hotel Caravelle, and offers breakfast, lunch and dinner. Hotel Caravelle is walking distance from cafes, shops, galleries and historic sites and buildings. For more information visit http://www.hotelcaravelle.com or call 800-524-0410. Lemon Tree Inn, owned and operated by the Freedman and Kalmans families, is a boutique hotel with a Caribbean spirit. Each hotel room, which is unique from the bed style (four poster mahogany bed to wicker sleigh beds) to the artwork, has a tropical theme including brightly colored Adirondack chairs facing the courtyard garden. Continental breakfast is served poolside and lemonade is served all day. Guests can rent bicycles and ride to the beach or the many shops, galleries and restaurants just a block from the hotel. For more information or to book a reservation, call 888-800-LEMO or visit http://www.LemonTreeInn.com. Eilam D, Zor R, Szechtman H, Hermesh H. Rituals, stereotypy and compulsive behavior in animals and humans. Neuroscience and Biobehavioral Reviews 30, 456-471 (2006). Burton JP et al (2012). Supervisor workplace stress and abusive supervision: the buffering effect of exercise. Journal of Business and Psychology. DOI 10.1007/s10869-011-9255-0).